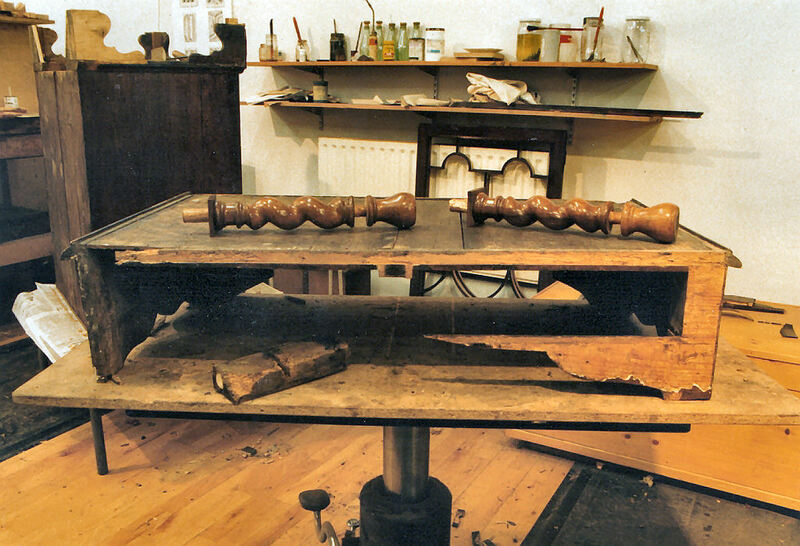 You can also read about the restoration of this chest-on-stand by clicking the link below. 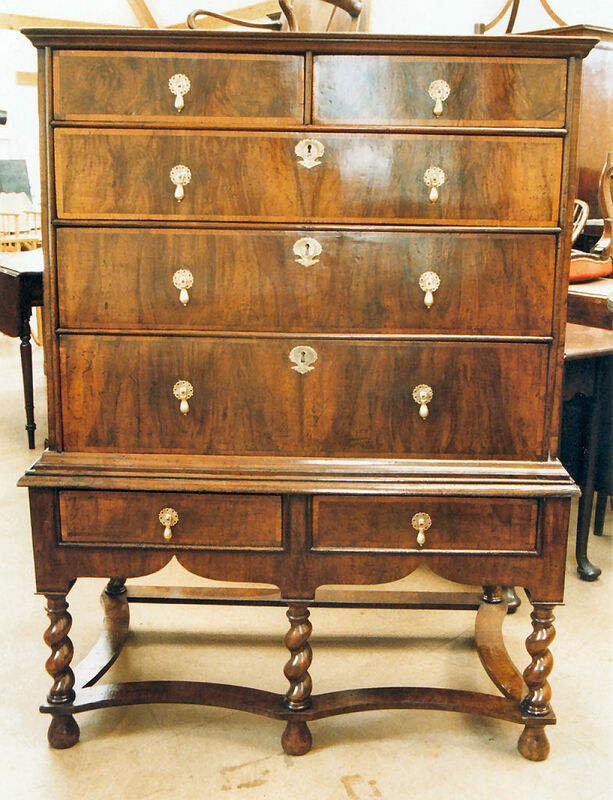 Restoration of a Walnut Chest on Stand. 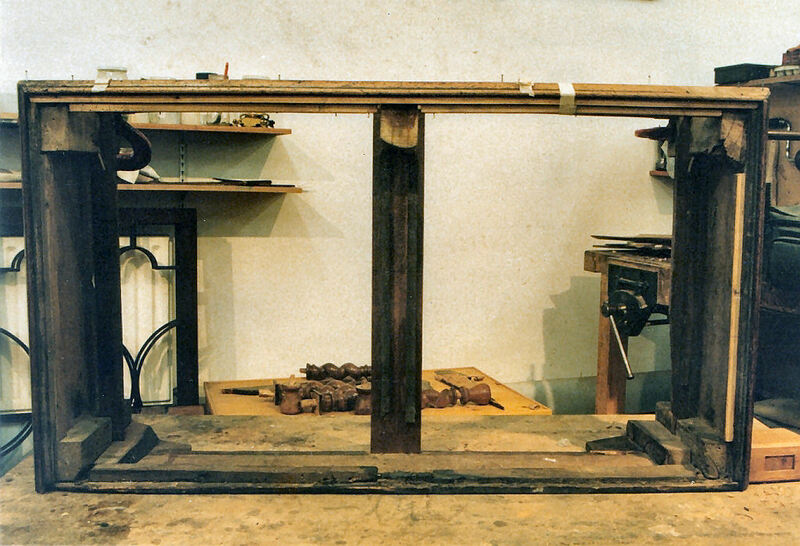 The stand as it arrived. 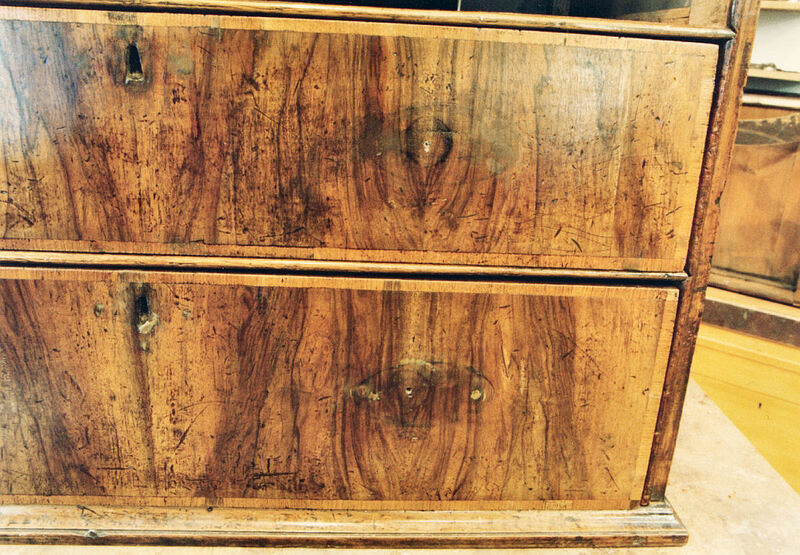 The chest also looked a little sad. 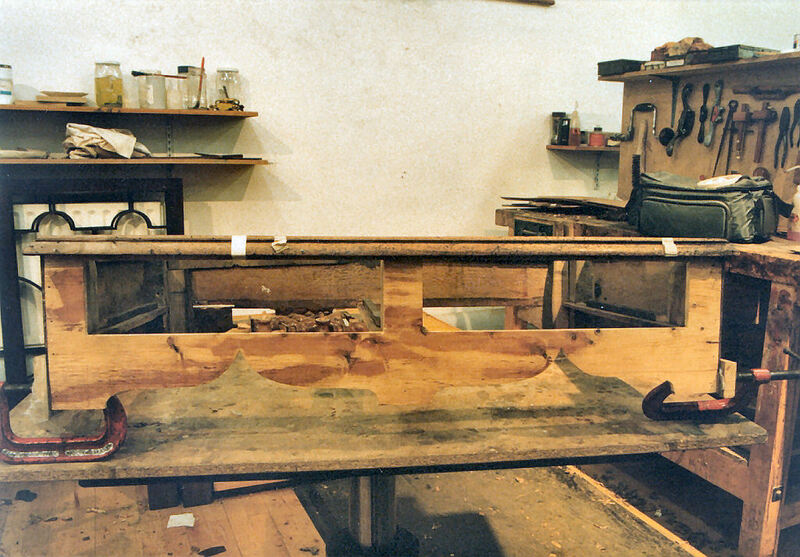 The stand’s apron was rebuilt using old pine and new sections of cross-grain mouldings were made up. View through the top of the rebuilt stand. 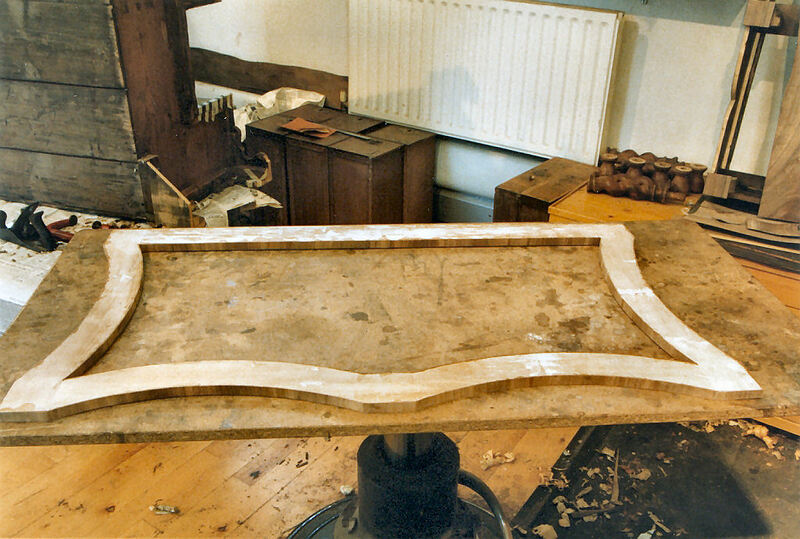 A new wavy stretcher had to be constructed from pine and veneered with walnut. 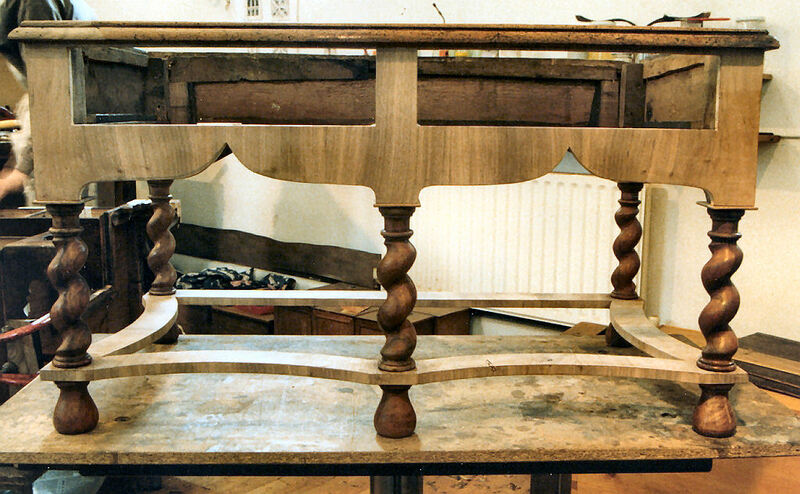 The front of the stand was veneered with hand cut Walnut veneer and the absent legs were turned from solid Walnut. 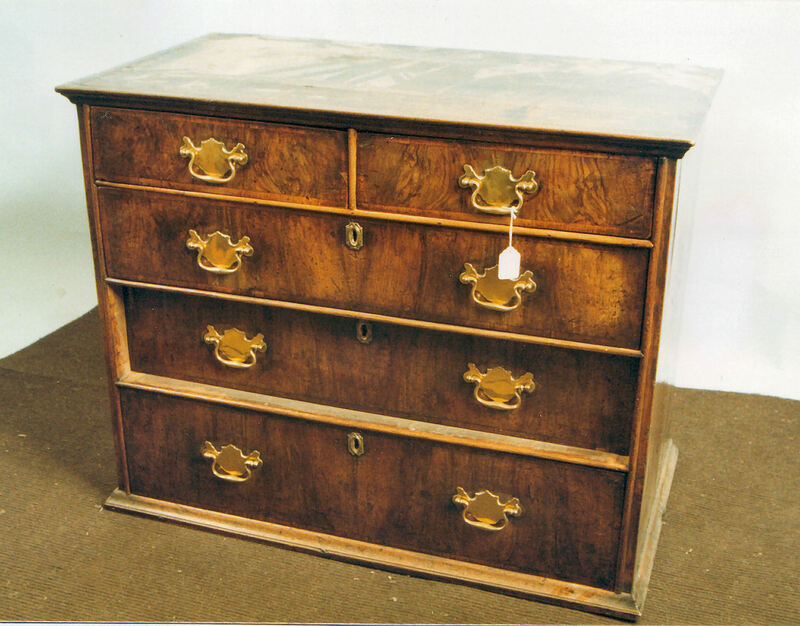 The finished chest on stand resplendent with new handles.